Geneticks is a locally owned and operated service for testing ticks for Lyme Disease and other tick borne infections. Geneticks currently offers affordable testing for the bacteria responsible for causing Lyme disease and tick borne relapsing fever, and is introducing testing for other pathogens including Bartonella species, Babesia microti, Babesia duncani, and Anaplasma phagocytophilum. Guaranteeing results within 10 days of receiving your tick, Geneticks is commited to delivering important information to customers within a useable time period, allowing them to make decisions regarding their potential exposure to tick borne illnesses. AS PART OF THE MISSION TO ENHANCE AWARENESS AND RESOURCES ON TICK BORNE INFECTIONS, LYME ONTARIO HAS DONATED A START UP FUND TO GENETICKS. 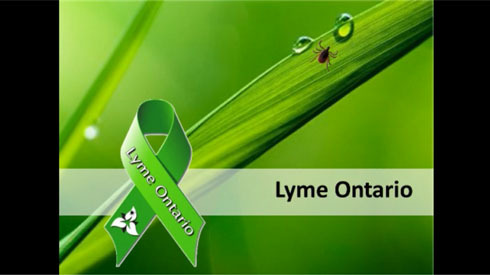 LYME ONTARIO'S CONTRIBUTION IS IN GOOD FAITH WITH THE PURPOSE TO EHANCE THE DETECTION OF TICK RELATED DISEASES FOR ONTARIANS. LO DOES NOT AND WILL NOT RECEIVE ANY REMUNERATION FROM GENETICKS. Please sign this petition asking the Canadian Government to reject the current Action Plan (Framework) for Lyme disease and fix it. The Framework must recognize the seriousness of this disease for all of us. Time is ticking. Canada’s current plan is GROSSLY inadequate.